If you have been injured in a road traffic accident which was not your fault you may be able to make a claim for personal injury compensation by employing the services of a personal injury lawyer who will take on your case if they believe you have a good chance of success and argue your case for a cash settlement or compensation award. Many personal injury lawyers will take cases on a no win no fee basis so this is something to check with them beforehand. Depending on whether you were involved in a car, bicycle, bus or motorbike accident, or whether you were the driver, passenger or pedestrian, if you believe that a road user has not exercised a due duty of care whilst on the road and that negligence was the cause of the accident which caused your injury, you may have a case for injury compensation. Even in cases of hit and run accidents or accidents with uninsured drivers there is still some hope of being able to bring about a personal injury claim. As a general rule if you have been involved in a road traffic accident you should consider the following important points. If you have been involved in a road traffic accident you should call the police who will attend the scene of the accident and file a report of the accident. This is important because as part of making a claim you will need to be able to prove that the accident occurred – the police report will prove this along with providing important details pertaining to the accident. Even if you do not believe that you have been seriously injured, you should seek medical attention as soon as possible. Primarily you need to ensure that you have not been injured, or if you have been injured you need to have the injuries treated by experts. This is not only for your own wellbeing but it will also provide evidence should you decide to make a claim for personal injury compensation. It will show that you have injuries that were treated shortly after the road accident. You personal injury lawyer will then attempt to make the linkage between the accident and the injuries that you have been treated for. It is important that you try to obtain as much details pertaining to the accident as possible. This can include the details of the other people involved in the crash (along with their insurance details), details of any witnesses that maybe able to give an account as to who was to blame for the accident and if possible attempt to get photographic evidence. Most people don’t carry a camera with them, but many people will have their mobile phone with them. Most modern mobile phones now have cameras included so use this if you can to take photographic evidence as soon as possible. If it is not possible, leave the scene and come back at a later date. For example tire skid marks should still be visible later on in the day. 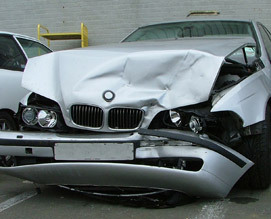 However, you should note that if the accident may have been caused by poor road maintenance, the authorities may seek to repair the offending area as soon as possible to avoid a repeat of the accident so bear in mind that the accident scene may have been completely repaired by the time you return. To ascertain whether you would have a case for a personal injury compensation claim it would be necessary for you to contact a personal injury lawyer who will be able to talk you through the process and advise as to whether you would have a viable case for a compensation award. Many personal injury lawyers will act on a “no win no fee” basis, so this is something to look out for. Copyright © 2019 Road Traffic Accident Compensation. All rights reserved.